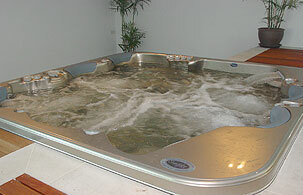 Spas-R-Us is a leading supplier of Indoor and Outdoor Spa-Jacuzzi’s and Hot Tubs. Our fully imported range of Jacuzzi’s are presently distributed throughout the major markets of The UK, Australia and Thailand. We offer a comprehensive product line specializing in Spas, equipment, parts, recreational and safety products. Spas-R-Us also has a unique range of indoor bathtub Spas-Jacuzzies, steam rooms and saunas in Phuket. Moreover, we are the exclusive distributors of Sapphire Spas and Energy products in Thailand. Spas-R-Us is the only place to shop for everything you need to meet your spa-jacuzzi needs. With the largest range of Spa Pool and Jacuzzi supplies in Phuket, we can offer you the latest Spa products at the most competitive prices - guaranteed!